ITSWA’s dry rooms are widely used as environmental facilities for use in research and development or in the production of high performance Li-ion batteries, electric double layer capacitors and battery materials (battery electrolyte, ionic liquids, anode and cathode material, separators, etc.). ITSWA's dry rooms were first designed and developed for R&D use, especially for small facilities. 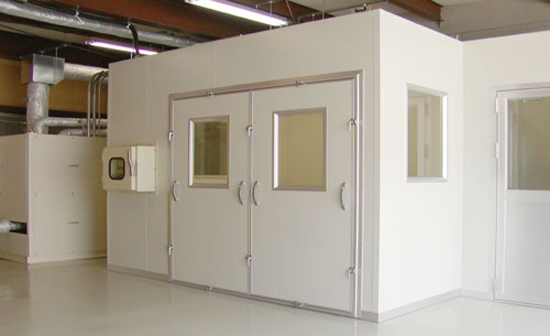 Through this process of design and development, we have consistently responded to the critical demands of customers that have a state-of-the-art orientation by providing high performance dry rooms. This has made it possible for ITSWA to further refine the low dew point dehumidifier technology that we have developed thus far and to provide dry rooms that realize top-class performance (low dew point performance, low operating cost). We at ITSWA anticipate a broad expansion in the market for the large-scale electricity storage devices used in electric vehicles (EV), hybrid vehicles (HV), fuel cell vehicles (FCV) and household electrical generating equipment and are committed to demonstrating that performance in dry rooms for large-scale production use. Electricity storage technology capable of reducing the volume of carbon dioxide gas generated through the consumption of fossil fuel is bound to play a major role in preventing global warming. 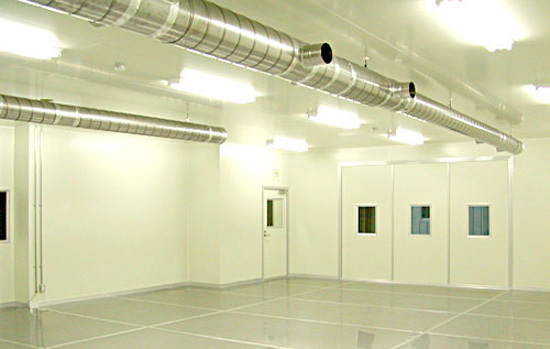 * We also provide dry room specifications with even lower dew point performance.